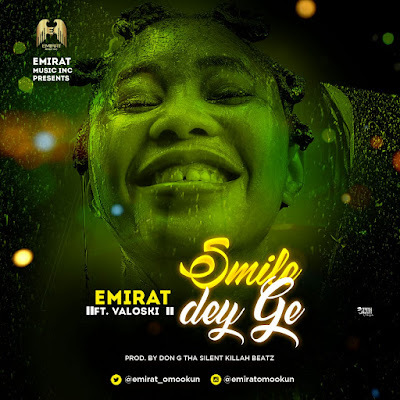 EMIRAT OMOOKUN is here with this soft classic song titled SMILE DEY GO to cool u down as u await his first official video SUNMOMI which is to drop anytime soon.. Most def this song will cool your nerves and make u smile if u think deep with his soft vocals and wonderful lyrical abilities.. Featuring Valoski on it,the song was produced by his producer don g tha silent killah beat!..